Just grab your fishing gear and walk down to the river from your room. And, after you catch that 'big one', cook it up fresh in one of our kitchenette suites or barbeque it out on the deck overlooking the river. 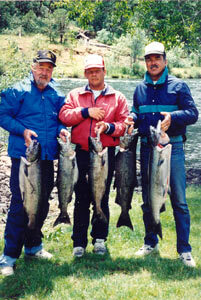 Local licensed fishing guides are available if you would prefer driftboat fishing on the Rogue. River rafting, tahitis, moonlight floats . . it's all here and waiting for you. 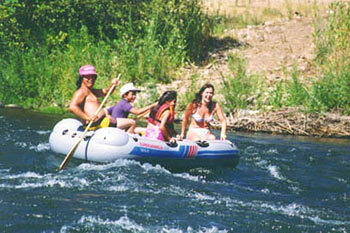 'Rafting the Rogue' is a popular sport from May through September. Raft rentals are available or hire a local guide to take you through some of the most magnificent scenery in the entire area. Great for the family or get a group together for an afternoon of 'wet & wild' river fun! 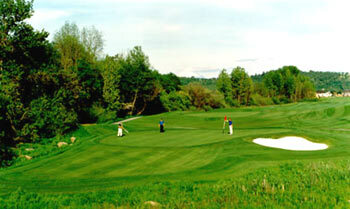 Built in 1996 and designed by Robert Trent Jones II, Eagle Point Golf Course was ranked among 'The Top 10 Public Access Courses of 1996' by Golf Magazine. A spectacular collection of golf holes, unique in character and strategy, makes this course exceptionally playable for the beginning golfer with plenty of interest and challenge for the expert player. Restaurants to please any taste from deli/fast foods to elegant dining overlooking the Rogue River are within walking distance. The motel is also conveniently located within walking distance to shops, gas stations, a grocery store, tanning & nail salon, fitness center, medical facilities, video arcade, ice cream stand, and a pizza parlor.